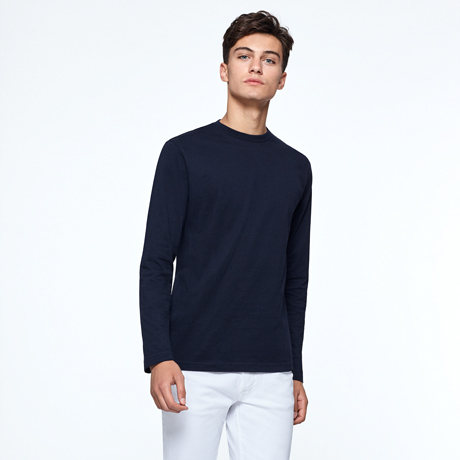 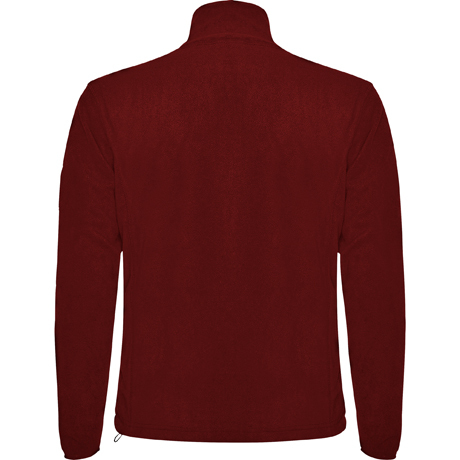 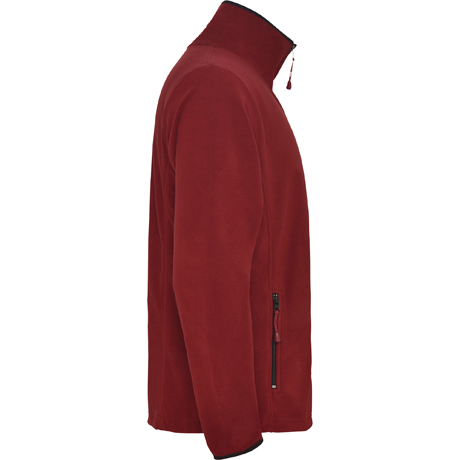 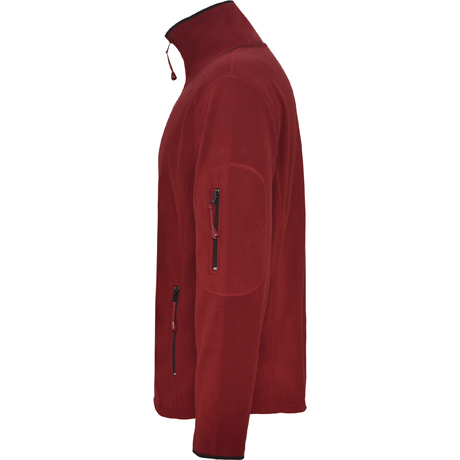 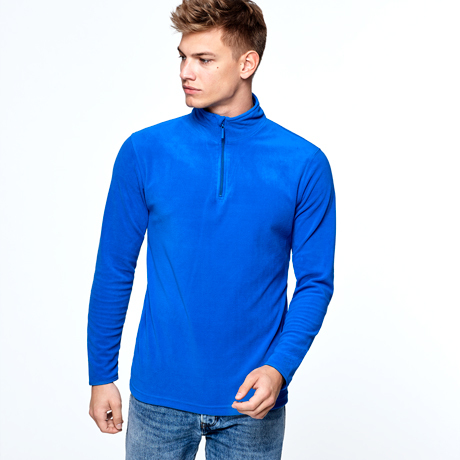 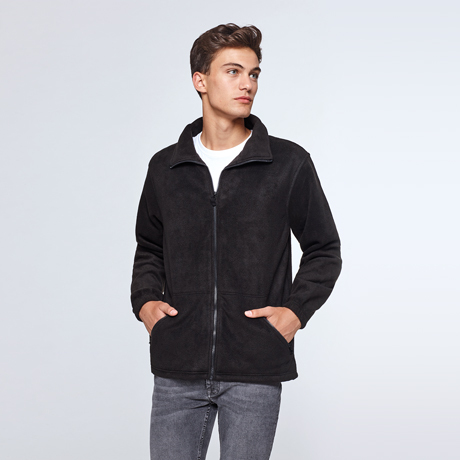 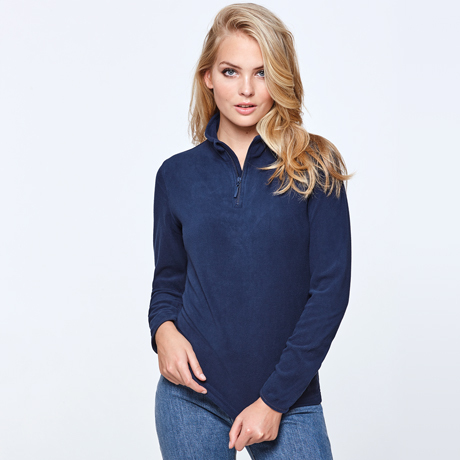 Fleeced jacket for outdoor sports, with high neck and long sleeve ribbed to contrast. 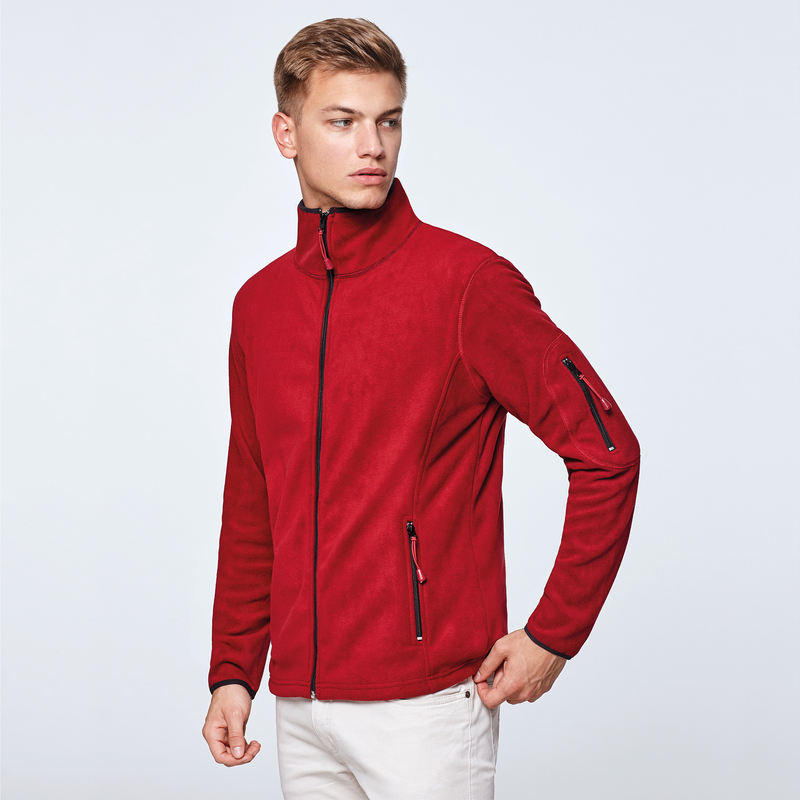 Pocket with zip in left sleeve and front zip, both in contrast. 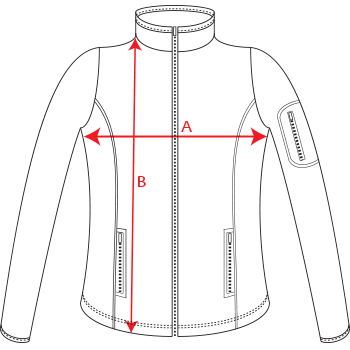 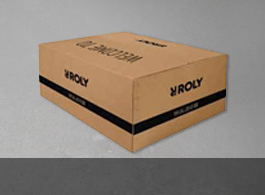 Seams in side and chest. 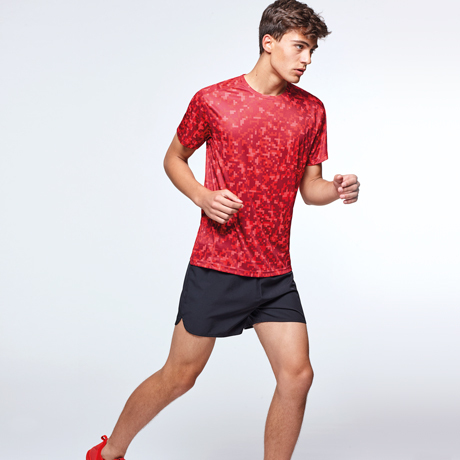 Elbow pads in same fabric. 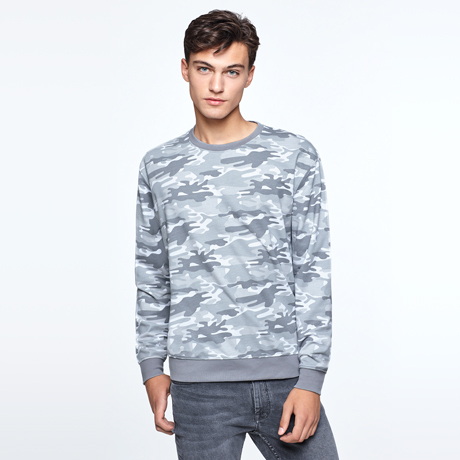 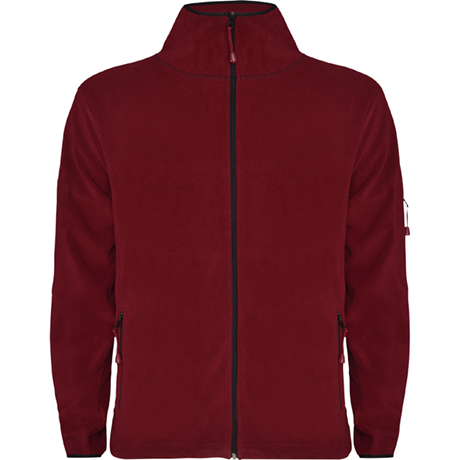 Composition 100% microfleece polyester, 300 gsm.